While planning to start a garden, you may have repeatedly heard of the term perennials. You hear fellow gardeners advising you to include some perennial flowers in your new garden. The suggestion triggers in your head several questions. What are perennials? How do they benefit one’s garden? Are they worth the investment? Is it easy to grow them? Well, take a deep breath and have your questions answered below. You will know later what perennial plants to include in your garden and how to begin planting them. 1. What Are Perennial Plants? One plant classification scheme puts the basis on a plant’s growing season. In this case, plants can either be annual, biennial, or perennial. Perennial plants or simply, perennials, live for two years or more. In comparison, annual plants die during winter, so you would have to replant annuals every year. They grow only for one season, so new plants would have to come from seeds. Biennials, on the other hand, need two growing seasons to mature and then go to seed. During winter, the roots of perennial plants go dormant in the soil, but they grow back after the season. In other words, perennials regrow every spring. If you’ve been advised to grow perennials, there must be a good number of reasons. Agastache ‘Blue Fortune' (Blue Fortune Anise Hyssop) in a garden. Your gardening friends may have made the right point when they advised you to grow perennials. Such plants deserve the investment because they aren’t a hassle when it comes to maintenance. Plus, perennial flowers can give your garden a permanent look through changing seasons. While you may also want to plant some annuals, at least you will have plants that would stay by without demanding so much from you. 2. Are Perennials Only Flowering Plants? While many perennial plants show off flowers, some vegetables and grass varieties are also perennials by definition. Most often, though, the term “perennial” is used for perennial flowering plants. Now you know how the little confusion came about. 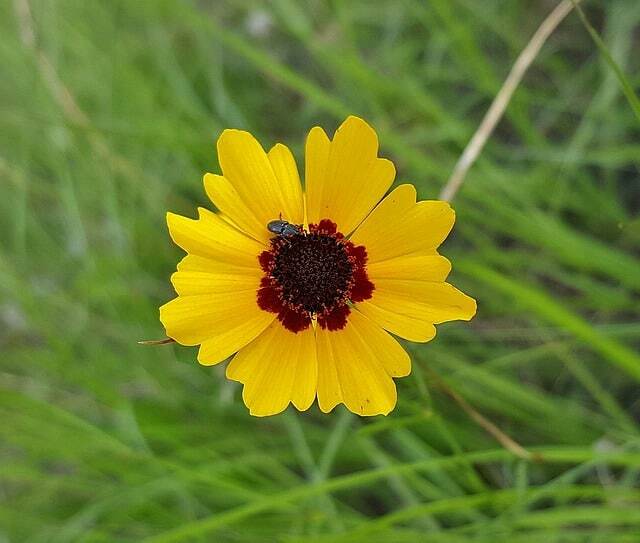 Closeup photo of a tickseed flower. Trees and shrubs are woody plants. Vines belong to this category, too, although gardeners consider them as semi-woody since they aren’t as hard as trees. Woody plants have parts that thrive through the winter season. They later regrow in the spring. In other words, woody plants are also perennials. The other type of perennials is called herbaceous plants. They are non-woody, and they die back to the ground in the fall while the roots remain dormant. After surviving through the winter, a herbaceous perennial will sprout again in the spring. So, not all perennials are flowering plants, and not all flowering plants are perennials. 3. Which Are The Garden Perennials For Beginners? If you love to see flowers in your garden, go for herbaceous perennial plants. Experts recommend these perennials for beginners. You can even consider these plants as great housewarming gifts! They produce flower within one year before they die over the winter. They will reappear the following spring to give you a delightful sight in your garden once again. If you love to give your garden a sturdier atmosphere and you want to develop some natural shade, plant woody perennials. Trees can provide your garden with additional colors from their fruit, too. So, as discussed from above, you can add both woody and herbaceous perennials to your garden. They are both beneficial to the vibrancy and diversity you are developing in your garden. 4. What Perennials Are The Easiest To Plant? You may choose to start growing common perennials from seed. While some perennials are finicky to grow, others are easy. The general criterion if you’re looking for easy-to-grow perennials for beginners is their ability to bloom during their first growing season. If you’re starting from seed, sow your seeds indoors beginning in early spring. Just be patient because some perennials can sprout only after a month. Others though, such as zinnias, can germinate in less than a week. Garden Phlox. The fragrant and colorful phlox loves a sunny location and an abundance of wind breeze. It blooms during midsummer up to fall and boasts of a wide variety of colors. Like bees and butterflies, you may also fall in love with its blue, white, pink, and red hues. Tickseed. This plant can self-sow. Its golden yellow flowers attract butterflies and insects. It’s easy to maintain because it can tolerate dry soil once established. Tickseed loves growing in full sun, too. 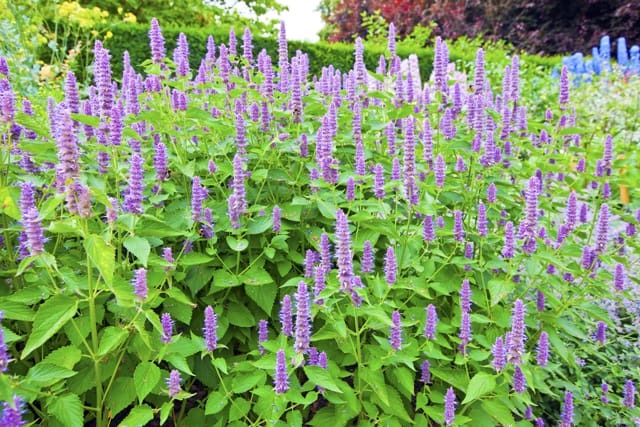 Anise Hyssop. Hummingbirds, butterflies, and bees love its lavender flowers. It is a fast-growing plant, taking a minimum of four days and a maximum of one month to germinate. Hosta. 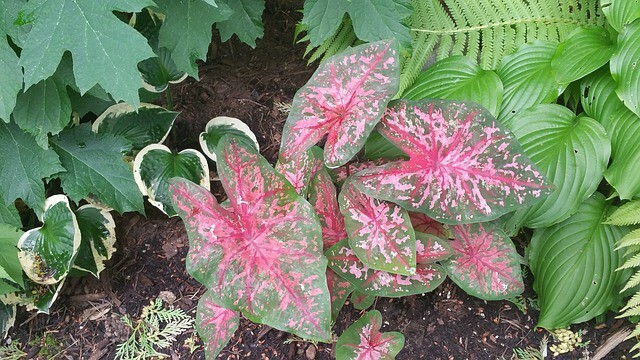 This foliage plant can give more life to shady areas in your garden. Hosta can also lure hummingbirds. You can choose from over 3000 cultivars of this robust and beautiful plant. 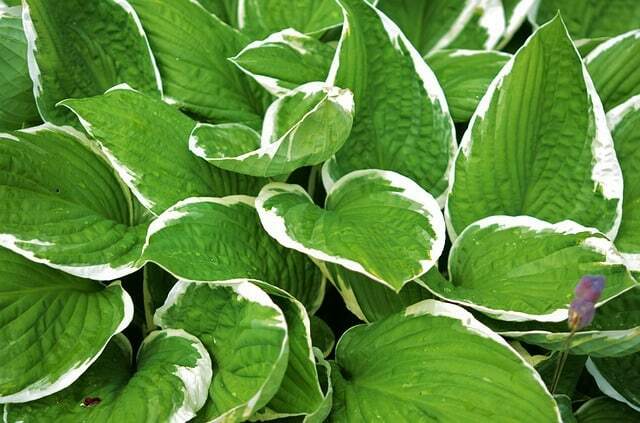 It’s a quick grower, too, so you can safely divide hostas any season, replant to other areas, or share with friends. 5. How Do You Start Growing Perennials From Seeds? Below are the principles and steps to follow when growing perennials from seeds. Purchase seeds from trusted vendors. Avoid using the seeds you or others have kept for you since the offspring may not look exactly like the parent plant. For hybrid varieties, better purchase from local stores. Start growing your seeds indoors 8 to 10 weeks before your region’s last frost date. Label your pots according to the type of seed sown, date of sowing, and the expected length of days before germination. Ensure contact of your seeds in the soil. You can press the seeds a bit onto the soil surface or spread a thin layer of soil over them. Make sure the sown seeds don’t dry out. You can maintain moisture by using a covered seed-starter kit. Alternatively, you may enclose your pots in loosely-tied clear plastic bags. Seed germination occurs best at 70-75°F. Seedlings grow best at 65°F. Place your pots in a room where you can set the temperature that cool. Use grow lights to expose your seedlings to plenty of full-spectrum light. Choose a grow-light stand that features an adjustable height. Aside from gaining more savings from lesser maintenance needs, you will find growing perennials a rewarding venture. 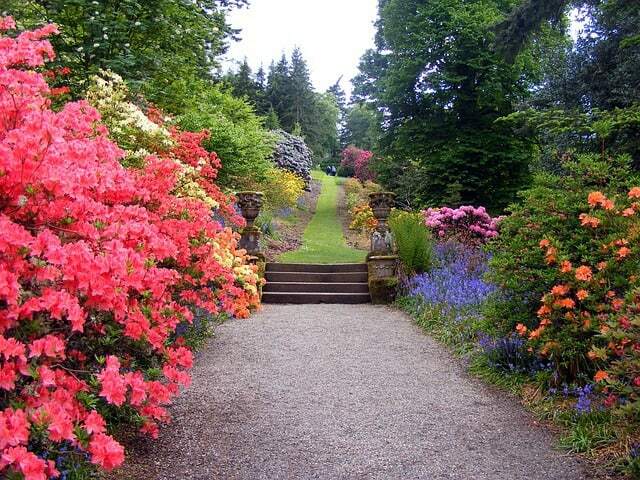 Adding them to your garden gives it more color, attitude, structure, and even a relaxing ambiance. Start with the quickest growing ones to witness them bloom within the year. Choose colorful varieties you’ll love seeing most through the years. You’ll be excited, too, about adding annuals that you can yearly change while maintaining a sense of ownership over your garden through your blooming perennial flowers.